CCES is a subsidiary of Elite Properties of America, Inc. which is part of the growing Classic family of diversified real estate services and companies. Kyle R. Campbell, P. E. serves as the Division Manager. 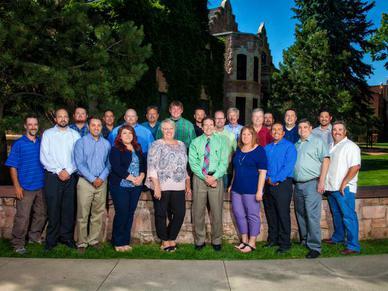 The staff is comprised of five registered professional engineers, two registered professional land surveyors, project engineers, designers, technicians, a survey crew, and administrative staff - all of whom assist in providing our clients a unified approach to their projects. The main focus of CCES is to provide quality, cost conscious and dependable services to our clients while maintaining an independent project management structure that promotes "thinking outside the box". The diverse experience of the staff and the comprehensive understanding of regulatory requirements allow us to evaluate and anticipate site development constraints and opportunities thereby enabling a site to meet both aesthetic and functional requirements. Working closely with the client, the CCES team has a proven track record of providing sound engineering services in combination with client input to provide practical design solutions. Our ability to work closely with clients, planners, architects, and agency staff allows CCES to provide cost effective engineering and surveying that result in lower construction costs. Maintaining an open line of communication with our clients ensures the timely completion of all aspects of a project. The staff at CCES has earned a solid reputation by combining practical engineering judgment and comprehensive surveying services into one seamless operation. This permits a project to be completed from conception through completion by one engineering/surveying team. CCES has the ability to schedule and proceed on almost any size job. Our past experience on numerous projects has allowed us to coordinate with quality sub consultants that we rely upon, as needed, for their knowledge and expertise in specific specialties (environmental, traffic, etc. ).